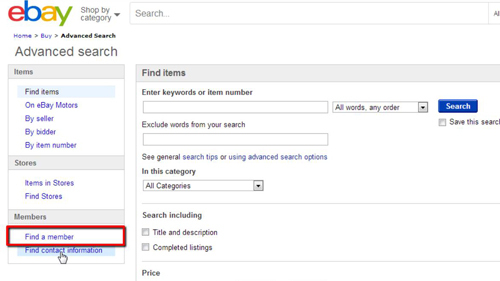 In this tutorial you are going to learn how to do an eBay user search. This can be useful if you remember a sellers name but can’t find the item they were selling. 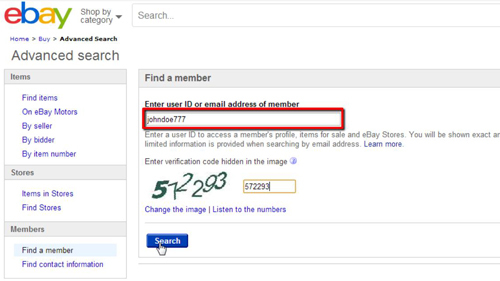 Go to eBay and make sure that you are logged into your account. At the top of the page you will see an “Advanced” link, click this. On the page that loads look to the options on the left and click “Find a member”. The find a member search area will load. You can use the search box at the top of the page to enter the users name. If you don’t remember it exactly just enter your best guess. Enter the verification code and click “Search”. A page will load that displays the results of the search and that is how to do an eBay user search.